Rate this project Tilman Sauerbeck has announced the first release candidate for CRUX 2.4, a light-weight, i686-optimised distributions for power users: "We have rolled the first release candidate of the upcoming CRUX 2.4 release." What's new? "Toolchain updates - CRUX 2.4 includes glibc 2.6.1, GCC 4.2.2 and Binutils 2.18. X.Org 7.3 - CRUX 2.4 ships with X.Org 7.3; note that Xprint isn't supported anymore. New ISO image - CRUX 2.4 uses a new ISO image with an initial RAM file system (initramfs) that allows for some convenient features: the boot sequence now tries to automatically detect the CD-ROM drive; the CD can be unmounted (to make way for a CD with alternative packages, for example); install can be completed remotely: boot the CD, set a root password, configure the network (dhcpcd included), start sshd." Read the release announcement and release notes for further information. Download: crux-2.4-rc1.iso (250MB, MD5). Fredrik Rinnestam has announced the release of CRUX 3.4, a new stable version of the distribution's lightweight, x86-64 optimised Linux distribution designed for experienced Linux users: "We are happy to finally announce the release of CRUX 3.4. The toolchain has been updated to include glibc 2.27, GCC 7.3.0 and Binutils 2.29.1. CRUX 3.4 ships with a 4.14.40 installation kernel and X.Org 7.7 with X.Org Server 1.20.0. The ISO image is processed with isohybrid and is suitable for burning on a CD and putting on a USB drive. UEFI support is available during installation with dosfstools, efibootmgr and grub2-efi added to the ISO image. Important libraries have been updated to new major versions which are not ABI compatible with the old versions. We strongly advise against manually updating to CRUX 3.4 via ports, since these changes will temporarily break the system. Please note that there may still be packages that need updating which are not included on the ISO imgage. These packages will need to be updated/rebuilt manually." See the release announcement and release notes for further information. Download: crux-3.4.iso (777MB, MD5, torrent, pkglist). Juergen Daubert has announced the release of CRUX 3.3, a new version of the project's lightweight (and systemd-free) Linux distribution designed for experienced Linux users (or users willing to follow a detailed handbook). This is the distribution's first stable release in nearly 15 months. "The CRUX team is happy to announce the release of CRUX 3.3. CRUX 3.3 comes with a multilib toolchain which includes glibc 2.24, GCC 6.3.0 and Binutils 2.27. Kernel - Linux 4.9.6. CRUX 3.3 ships with X.Org 7.7 and X.Org Server 1.19.1. The ISO image is processed with isohybrid and is suitable for burning on a CD and putting on a USB drive. UEFI support is available during installation with dosfstools, efibootmgr, and grub2-efi added to the image. Important libraries have been updated to new major versions which are not ABI compatible with the old versions. We strongly advise against manually updating to CRUX 3.3 via ports, since these changes will temporarily break the system." Here is the brief release announcement, with further details provided in the release notes. Download: crux-3.3.iso (555MB, MD5, torrent, pkglist). Juergen Daubert has announced the release of CRUX 3.2, the latest stable build of the project's lightweight, x86-64 optimised Linux distribution designed for experienced Linux users: "The CRUX team is happy to announce the release of CRUX 3.2. CRUX 3.2 comes with a multilib toolchain which includes glibc 2.22, GCC 5.2.0 and Binutils 2.25.1. The kernel is Linux 4.1.13. CRUX 3.2 ships with X.Org 7.7 and X.Org Server 1.18.0. The ISO image is processed with isohybrid and is suitable for burning on a CD and putting on a USB drive. UEFI support is available during installation with dosfstools, efibootmgr, and grub2-efi added to the ISO image. Important libraries have been updated to new major versions which are not ABI compatible with the old versions. We strongly advise against manually updating to CRUX 3.2 via ports, since these changes will temporarily break the system. Please note that there may still be packages that need updating which are not included on the ISO image. These packages will need to be updated/rebuilt manually." See the release announcement and release notes for more details. Download: crux-3.2.iso (385MB, MD5, torrent, pkglist). Fredrik Rinnestam has announced the release of CRUX 3.1, a lightweight, x86-64 optimised Linux distribution designed for experienced Linux users: "The CRUX team is happy to announce the release of CRUX 3.1 for the x86_64 architecture. CRUX 3.1 comes with a multilib toolchain which includes glibc 2.19.0, GCC 4.8.3 and Binutils 2.24, Linux kernel 3.12.24. CRUX 3.1 ships with X.Org 7.7 and X.Org Server 1.15.1. Important libraries have been updated to new major versions which are not ABI compatible with the old versions: libpng has been updated to version 1.6; libjpeg has been replaced by libjepeg-turbo; libmng has been updated to version 2.0. We strongly advise against manually updating to CRUX 3.1 via ports, since these changes will temporarily break the system. Important notes: udev has been replaced by eudev; the upgraded eudev will rename your Ethernet devices like udev...." See the full release notes for more information. Download: crux-3.1.iso (333MB, MD5, torrent, pkglist). Juergen Daubert has announced the release of CRUX 3.0, a lightweight, x86-64 optimised Linux distribution targeted at experienced Linux users: "More than 11 years after the release of CRUX 0.5 for i686, CRUX 3.0 is the first release for the x86-64 architecture. At the time Per Liden had created CRUX, the i686 processor on base of the 32-bit Intel IA-32 architecture was state-of-the-art and therefore chosen by him as the default optimization for CRUX. But nowadays the i686 architecture is more or less obsolete, at least for desktop machines, and superseded by the x86-64 architecture. Toolchain updates: CRUX 3.0 comes with a multilib toolchain which includes glibc 2.16.0, GCC 4.7.2 and Binutils 2.23.1. Kernel: Linux 3.6.11. CRUX 3.0 ships with X.Org 7.7 and X.Org Server 1.13.0." Read the release notes for additional important notes. Download: crux-3.0.iso (251MB, MD5, torrent). See also the brand-new CRUX 3.0 handbook for installation and configuration instructions. Juergen Daubert has announced the availability of the first release candidate for CRUX 3.0, a keep-it-simple Linux distribution designed for more advanced Linux users: "The CRUX team is pleased to announce the first release candidate of the upcoming CRUX 3.0. More than 11 years after the release of CRUX 0.5 for i686, CRUX 3.0 will be the first release for the x86_64 architecture. We do not have release notes yet, so some notes below: an update from 2.8 i686 to 3.0 is possible but you have to rebuild all installed packages that are not part of the ISO image - we will continue to update the CRUX 2.8 repositories for the near future but encourage all users to update to 3.0; a 32-bit compatibility ports tree is available but not enabled by default; enable CONFIG_IA32_EMULATION in your kernel configuration, without that option you are not able to build 32bit stuff, even a chroot into a 32bit system, e.g. CRUX 2.8, is not possible without it! Please give it a try and report any issues!" Here is the brief release announcement. Download: crux-3.0-rc1.iso (252MB, MD5). Matt Housh has announced the release of CRUX 2.8, a small, independent and customisable Linux distribution designed for more advanced Linux users: "The CRUX team would like to announce that CRUX 2.8 x86 has been released." What's new? "Toolchain updates - CRUX 2.8 includes glibc 2.16.0, GCC 4.7.2 and Binutils 2.22; Linux kernel 3.5.4; the ISO image is processed with isohybrid and is suitable for burning on a CD and putting on a USB drive; important libraries have been updated to new major versions which are not ABI compatible with the old versions, we strongly advise against manually updating to CRUX 2.8 via ports, since these changes will temporarily break the system; the oldest kernel supported by glibc is 2.6.39; module-init-tools has been replaced by kmod; some deprecated video drivers have been removed from X.Org (radeonhd, i128, mach64, tdfx, voodoo)...." See the release notes for more details. Download the installation CD image: crux-2.8.iso (254MB, MD5). Matt Housh has announced the release of CRUX 2.7.1, an updated version of the project's lightweight and fast distribution designed for more advanced Linux users: "The CRUX team has released an interim release, version 2.7.1. 'Interim' means that this release is meant to facilitate upgrades or new installs by saving time that would be taken up by updating quite a few out-of-date packages. This also means that current users of CRUX 2.7 with updated packages do not need to upgrade or reinstall. Release notes: CRUX 2.7.1 includes glibc 2.12.2, GCC 4.5.3 and binutils 2.20.1; Linux kernel 2.6.39.4; packages - CRUX 2.7.1 includes the usual bunch of ports updates, but without any incompatible changes." Read the release announcement and release notes for additional details. Download the installation CD image from here: crux-2.7.1.iso (230MB, MD5, torrent), crux-2.7.1-x86_64.iso (240MB, MD5). 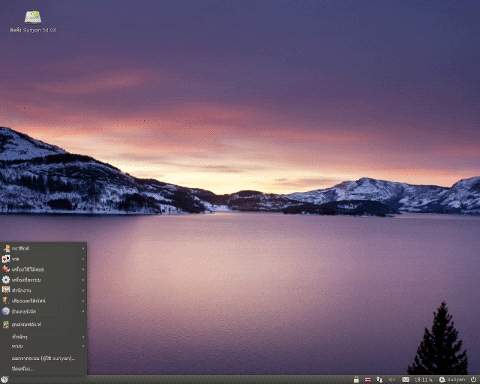 Tilman Sauerbeck has announced the release of CRUX 2.7, a minimalist Linux distribution designed for intermediate and advanced users: "I'm announcing the release of CRUX 2.7. Release notes: toolchain updates - CRUX 2.7 includes glibc 2.12.1, GCC 4.5.1 and Binutils 2.20.1; Linux kernel 2.6.35.6; X.Org 7.5 and X.Org Server 1.9.0; to save space, all packages shipped with the image are compressed with xz, which requires a new version of pkgutils, a gz compressed package of pkgutils has been placed the /tools subdirectory; besides the usual ISO image, an image suitable for USB thumb drives is available from our download mirrors. New features in pkgutils: in addition to gzip, pkgmk has been enhanced to optionally compress newly built packages with bzip2 or xz; pkgutils can read packages that have been compressed with bzip2 and xz in addition to gzip...." Read the release announcement and release notes for further information. Download: crux-2.7.iso (226MB, MD5, torrent).